There are times you would like to keep your hobbies to yourself. For various reasons gamblers might want to stay anonymous. That means you should deposit using solutions that don’t tell banks where the money goes. Banks promise to keep information about customers’ financial activities private, but generally they are very influenced by governments and as a result, many players look for alternative deposit options because. Today this processor is called UseMyFunds, but some gambling operators still prefer using the old name, which is UseMyBank. So, if you see any of the two names, you should know that it’s the same company. The solution is widely known in Canada but is also known in some other countries, including UK, Australia, Germany and Mexico. Users need to sign up by sharing their basic details. It takes just a couple of minutes to get access to your newly registered account. To buy things online, you’ll have to be a customer of a participating institution to be able to cover transactions. It’s not an e-wallet as funds aren’t credited to UseMyBank balance. They will be moved directly from bank to iGaming balance. In some countries users are allowed to link e-wallets. Unfortunately, bank cards can’t be used for this purpose. To make a deposit, go to iGaming website of your choice and choose UseMyBank/UseMyFunds option. Then you’ll be offered to specify where you live and your bank. After that you’ll be offered to sign-in with the payment system and authorize the transaction. Funds show up as soon as the transaction is confirmed. Therefore players won’t have to wait before placing bets. The moment a payment is made payers receive an email telling that the money has been spent. Regular UseMyBank customers won’t be able to withdraw money from casinos or from anywhere else. Only those who reside in Canada and have Pre Authorized Debit (PAD) feature activated get this opportunity. Without this feature punters will have to select another banking solution to cash out their winnings. Activating PAD option can be done by visiting UseMyBank website and filling in a special form. So, basically, Canadians will be able to receive payments by putting in extra effort. Transaction fee is the only reason that can stop eligible members from getting PAD activated. Regular customers use services for free, while those with PAD feature have to pay $1 or $2.5 each time they spend or receive money. One of the major reasons online gamblers choose UseMyBank is anonymity and security. No party is aware of where the money goes and where it comes from if deposits are processed through this service. There are good reasons gamblers wouldn’t want their bank account details to be revealed to any third party. Bank transfers can be painfully slow, and services that help avoid waiting for too long must be much appreciated by gamblers. 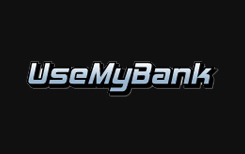 UseMyBank deposits are instant despite the fact that the processor facilitates payments between your bank and casino operators. Another advantage is that the service is free for regular users. The service is only available to residents of several countries with Canadians being the only customers who can receive payments. That means the solution suits the needs of a limited number of punters. Another disadvantage is that players have to pay for each transaction if they want to withdraw casino winnings.